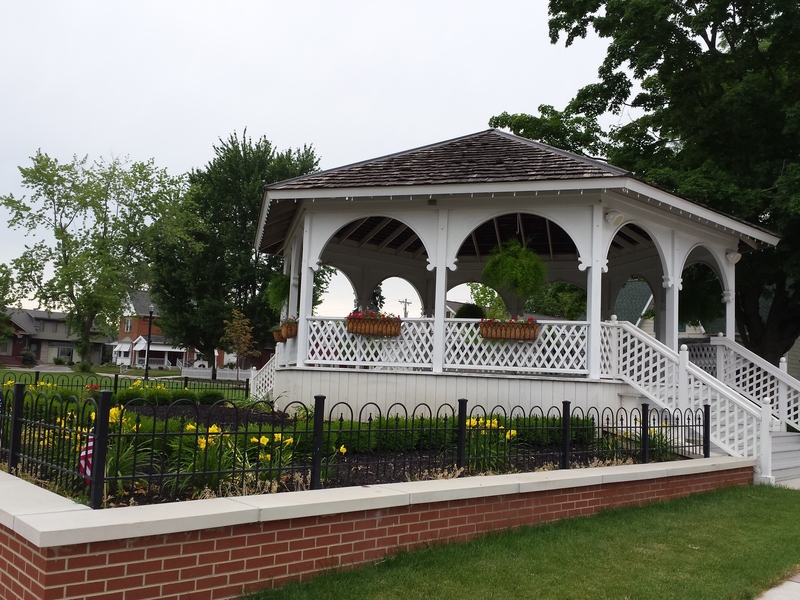 The Village of Minster, Ohio, renovated the community park in which their annual Oktoberfest celebration is held. The renovation continues the “heritage hunt” theme of the Village streetscape with stories of the Village’s history. The design includes adding much needed sidewalks, a quilt-patterned plaza celebrating German heritage, a renovated gazebo opening it up for better stage use, a splash pad based on the Village’s first plat map, and a brick seat wall built in the approximate footprint size of the log cabin church that once stood in the park. The materials and layout have been carefully designed to withstand the heavy use of the 80,000 people attending the annual Oktoberfest.